"Those bloody poofy woolly biscuits." Who really invented the lamington, widely regarded as one of Australia's culinary gifts to the world? For those unfortunates who have yet to taste one, it's a small cube of sponge cake coated all over with soft chocolate and desiccated coconut. 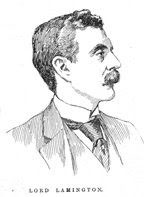 It was named after the second Lord Lamington, Governor of Queensland from 1895 to 1901. Australia, New Zealand, England and Scotland have all been suggested to have originated the recipe. "The world-famous Australian Lamington turned 100 years on 19 December 2001," says a story on (of all unlikely places) the Ipswich (Queensland) City Council's website. "The national icon, consisting of sponge cake dipped in chocolate and liberally sprinkled with fine desiccated coconut, was created through an accident at work by a maid servant to Lord Lamington. "An irascible diner seized a piece of spongecake which had dropped into a dish of brown gravy and hurled it over his shoulder in a fairly grumpy manner. The soggy piece of cake landed in a dish of shredded coconut which was standing on the sideboard waiting for the service of an Indian curry. A certain Agnes Lovelightly, in a flash of genius, saw the possibility of substituting chocolate sauce for the brown gravy, and so the lamington was born. It would have been nice ... had this great good gateau been named for the humble genius whose invention, or divine perception, it was. 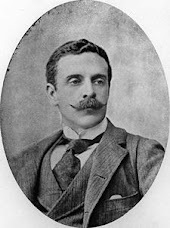 But in the snobby bumsucking manner of the day it was named in honor of Baron Lamington, who was Governor of Queensland at the time. For many years lamingtons were served on state ceremonial occasions in Queensland and won universal approbation. But Baron Lamington himself could by no means abide them. He invariably (and somewhat oddly) referred to them as "those bloody poofy woolly biscuits." Quoting that extract from Hepworth's article, Frederick Ludowyk, editor of the Australian National University's Ozwords, (who modestly signs his article with his initials, F.L.) added: "The village of Lamington in Scotland may be a false eponym, but [in England] there is Leamington (Spa) in Warwickshire, and Lemmington in Northumberland. It is just possible that the lamington has its origin in a British place name. Do any readers have an ancient English recipe book which includes a recipe for a lemmington (or leamington) cake? ".